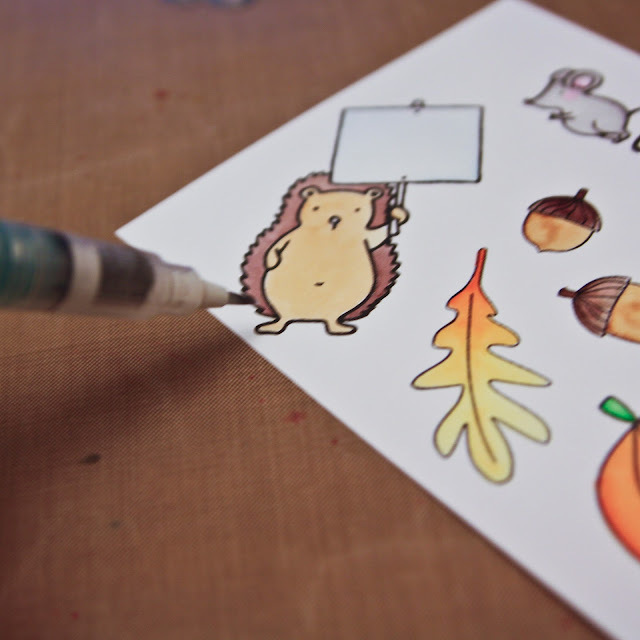 Coloring cute little characters is really not my forte, I like messier techniques that jive with my messy crafting. But the little guys from the Essentials by Ellen Tree Farm set are too cute to resist! To create this card start by stamping the hedgehog and leaves on a smooth watercolor paper. 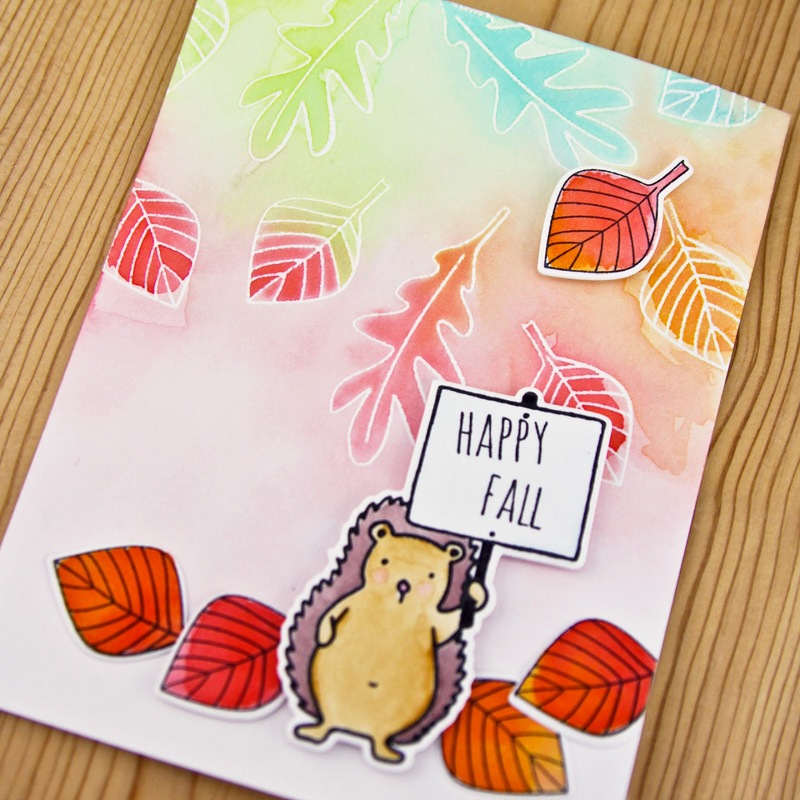 I used my MISTI and stamped a bunch of things because I wasn't sure what I wanted to use. Next color. 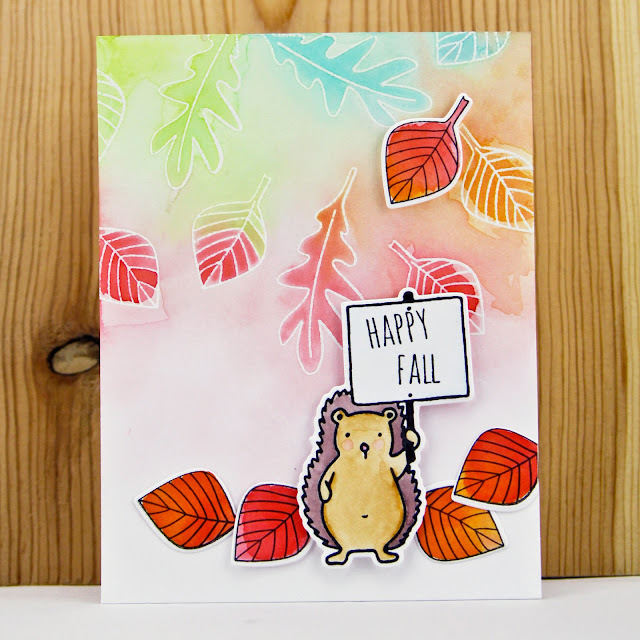 I used Clean Color Real Brush markers and a waterbrush on my hedgehog and Distress Abandoned Coral & Carved Pumpkin inks on my leaves. Create the background by stamping leaves and embossing in white. 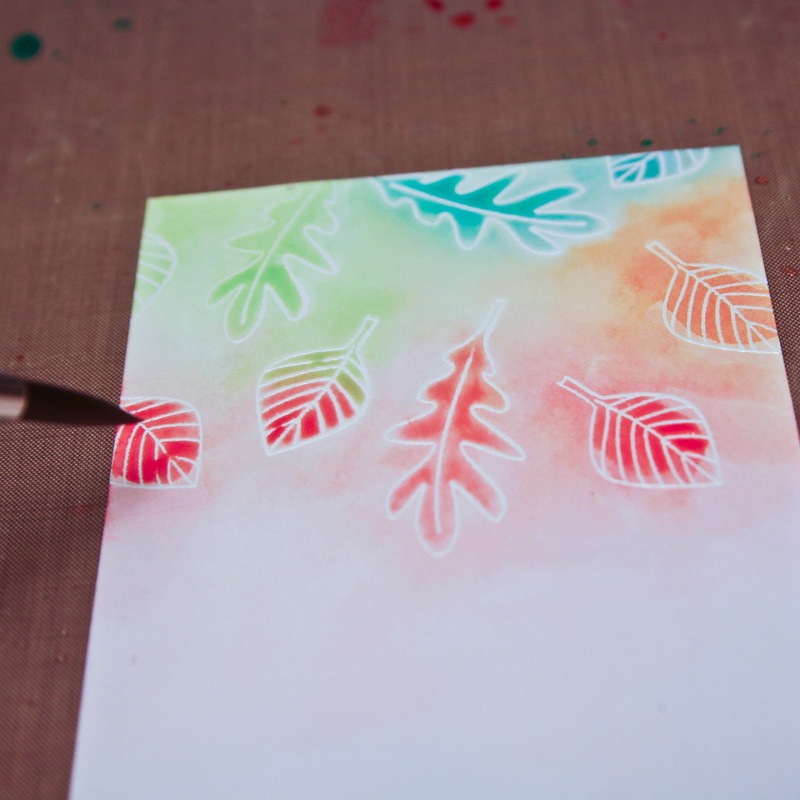 Watercolor over the embossed leaves for a resist effect. This background was inspired by my friend Amy Lee's awesome style. 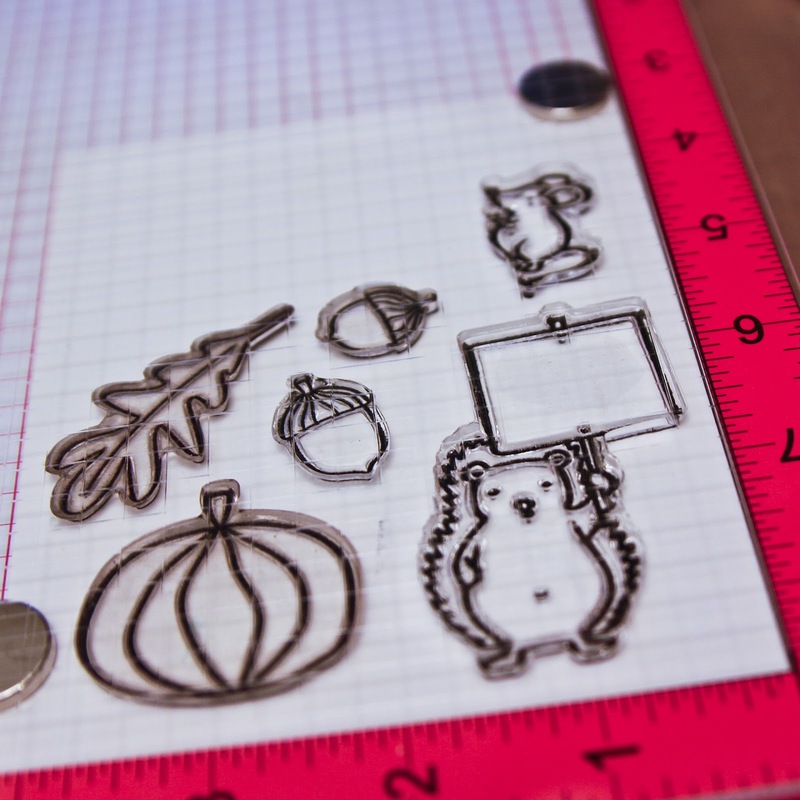 Her blog is always full of amazing inspiration, check it out The Craft Bunny. 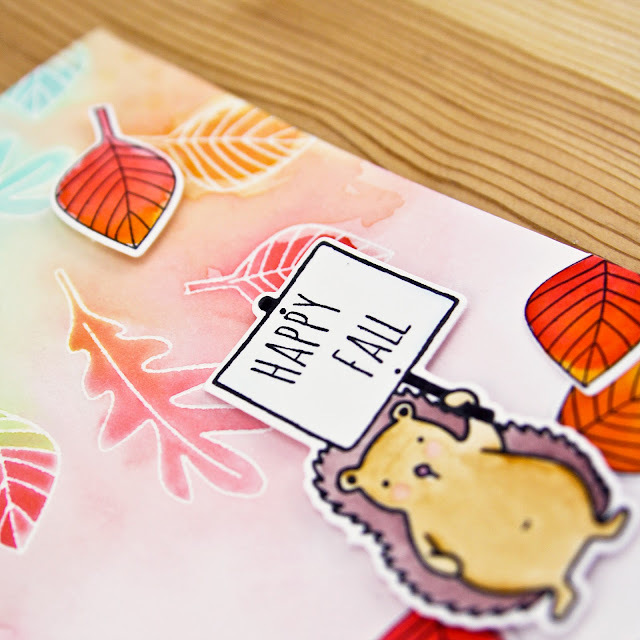 Die cut hedgehog & leaves and adhere to watercolor background. This is AMAZING! I am totally inspired.